Forza fans might have December 13th circled on their calendars, and for good reason. 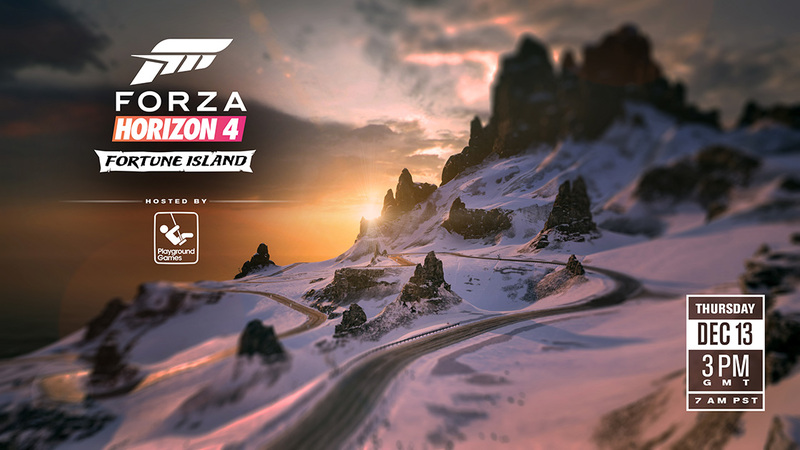 After all, tomorrow is the launch day the first expansion for the game – Fortune Island – allowing FH4 players the opportunity to explore a brand-new island location full of danger, treasure, and epic driving adventures. 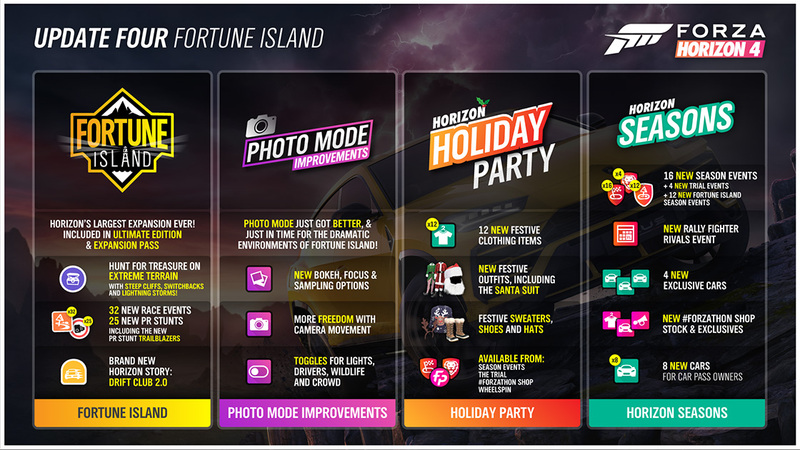 Alongside the launch of Fortune Island, Playground Games is also releasing the fourth update for Forza Horizon 4. This update is bringing new content and experiences to Forza Horizon 4, along with lots of fixes and improvements to the game overall. With this update, Playground has made some improvements to Horizon Life multiplayer events. Now when you create a multiplayer event, you can post it to the Activity Panel and then return to Freeroam while you wait for other players to join. The previous 40-second limit has been removed, and now you can wait for as long as you like for players to join before you start the session. Forzatographers, rejoice! New improvements to Photo Mode are coming. Now you separately toggle vehicle lights, drivers, wildlife, and crowds to specify elements you want in your photographic masterpieces. In addition, there are new bokeh, focus, and sampling options, as well as more freedom of movement with the photo camera. It’s the holiday season and Forza Horizon 4 players can celebrate with a load of new holiday-themed items available with the latest update. Twelve new festive clothing options are all available from Season Events, The Trial, Wheelspins, and the #Forzathon Shop. In addition to new content, Update 4 is bringing with it new improvements across various areas of the game. Highlights include fixing an exploit in Route Creator which allowed players to create routes to easily gain a large number of skill points, as well as fixing an exploit in Rivals which allowed players from being able to use the cars that did not meet the event restrictions. Elsewhere, emotes can now occasionally be found for purchase in the #Forzathon Shop, and the team has added improved visibility of driving line on mini-map in various colorblind modes. For the full list of fixed in Update 4, check out the Release Notes on the Forza Support section on our Web site. Don’t forget, Playground Games will be giving fans a world premier of the Fortune Island expansion live from PG HQ on December 13. The show starts at 7 a.m. Pacific/3 p.m. GMT on the official Forza Mixer and Twitch channels and the PG team will be exploring Fortune Island and answering community questions as well. 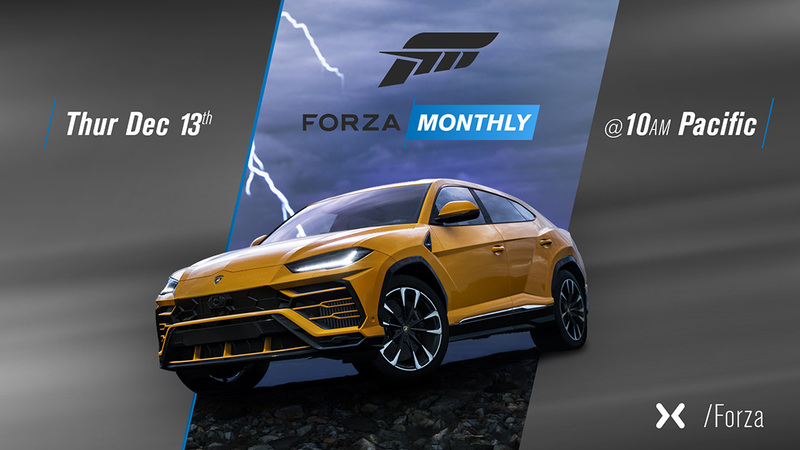 Following Playground’s Fortune Island stream, we’ll have with the December update of “Forza Monthly” which kicks off at 10 a.m. Pacific/6 p.m. GMT, where we’ll be joined by members of Playground to dive further into the Fortune Island expansion. Don’t miss the shows live!